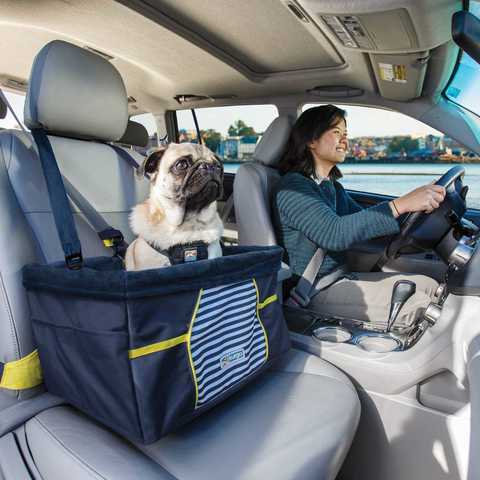 Home / category "Car Safety"
Car trips with babies are challenging enough, but how do you keep your dog safe and happy in the car? Many people use boarding kennels or pet sitters. These are great options, but sometimes you have no choice but to take your dog along with you for the ride. What if you’re moving? Maybe you’re taking a cross-country trip or can’t afford a pet sitter. Or you may simply want to enjoy a vacation with your dog. While the vast majority of child safety seats have been thoroughly crash tested and approved by the Consumer Product Safety Commission (CPSC), the same does not apply for pet safety seats. As a matter of fact, the CPSC has no authority over those products, since they aren’t considered consumer goods (i.e. not for human use). Even so, there are many safe pet restraints on the market. We’ve reviewed several of them on BestCarSeatHub.com. Why bother with pet restraints? Though most of us buckle up automatically when we get in the car, most people don’t even think about it when riding with their dogs (or cats). You’ve probably seen a dog hanging out the passenger side window or a cat lying on the back dash of a car. Sure, they’re having fun watching the world pass by, but accidents can take us by surprise. One minute you’re happily driving down the road, and the next you’re either slamming on the brakes to avoid a collision, or another car speeds through a red light at the intersection and crashes into your car. An unrestrained dog can not only be badly injured, but they can also become a projectile object and injure you or any other passengers. Buckling them up helps keep everyone safe. A 2012 study estimated over 400,000 people were injured as a result of distracted drivers. Another study from AAA found over 60% of dog owners engage in distracting activities with their dogs in the car. In other words, if you ever text while driving (we hope you don’t) AND your dog is running around or getting into your lap, you’ve just doubled the distractions and are twice as likely to injure yourself and your dog in a crash. Don’t be another statistic. Make sure your dog is buckled up too. But don’t put them in the front seat. Air bags can seriously injure dogs. 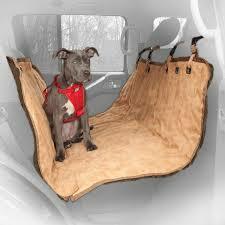 The back seat or hatch area is the best place for your dog. There are several options available depending on the size and temperament of your dog. Though they come in several different designs, they can be classified into these categories. Harnesses come in all sizes, but tend to work well for large dogs and dogs that don’t mind a close-hugging restraint. For some great recommendations and in-depth harness reviews, read more on our blog. 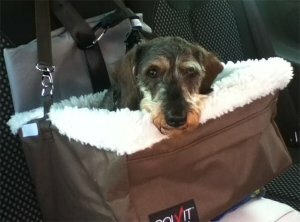 For dogs that don’t like tight restraints, crates are a good option so long as they are tethered in the vehicle. 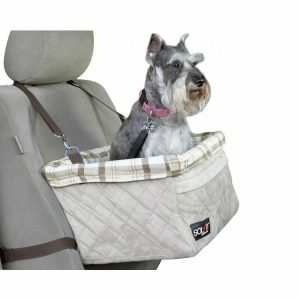 Smaller dogs often enjoy riding in carriers / kennels and dog booster seats. Your dogs are one of those fragile cargos you have to consider bringing with you when you’re traveling. As you have them seated in place, they won’t really have any control on what’s to happen next inside the vehicle which makes them both a threat and a nuisance for other passengers. 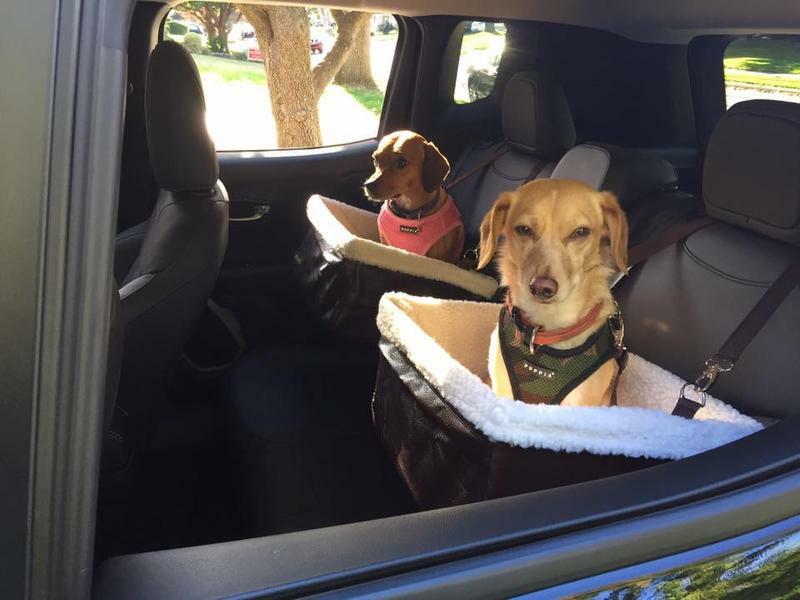 If you want to ensure that everything is in place before you even travel with your pet dog together with other people in your car, you have to know what you should be preparing first hand for safety and convenience. More likely this could be your very first time to travel with your furry friend and you’re planning to get the most out of your vacation that you’re also planning to have the whole family go with you. Well, it’s not that easy to get everybody get along when they are already inside the car especially if this is the first time to have a pet come along your trip. But, with enough preparation, you’ll be able to fix everything. The initial thing you have to always keep in mind before traveling with your pet is to be able to pack all the accessories and equipment to keep your pet dog safe and comfortable while traveling with you by car. Don’t forget the dog tags, collar, safety harness, water, food and all of the supplies needed to suffice the needs of your pet companion throughout your travel time. You’re probably wondering what type of restraints will best suit your dog when you travel by car. Well, this will definitely depend on your own preference. 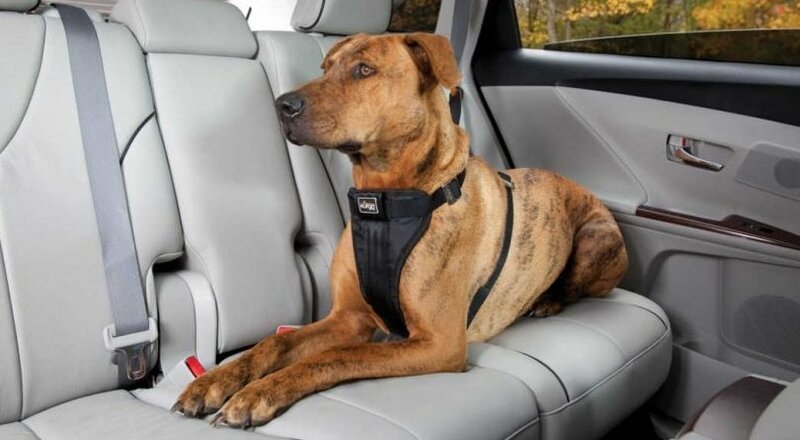 Although most pet owners who also own a huge vehicle would prefer to bring closed carriages or crates with them to place their pets for safe keeping, you can also prefer to make use of safety harnesses to be attached to your car seat. Take note that you shouldn’t be bringing your pet with you on a trip without any safety restraints on. A dog on the loose inside the car can definitely be a cause of vehicular accident and may as well cause injury to other passengers in case you meet any unfortunate events on the road. Mostly long trips can be very exciting in its first hour, but if it takes longer than that you and your passengers may find it quite boring and tiresome which means that you may have to take a stop or rest for awhile. This behavior as well applies to your pet dogs. Once you make a stop, ensure that you check on your pet to see if there’s anything that they need to keep them comfortable in the next few hours of your trip. Just in case this is your dog’s first time to travel you can also consult with your vet on other particular safety measures needed for traveling as well as meds that your dog can take in case they’re not used to travel. Having said all that, you should now be ready on your trip and all you need to do is to pack up your stuff and your pet’s supplies so you can all get excited. You probably love your one and only companion when traveling which could be the reason why you want to ensure his or her safety whenever you travel with your very best friend pooch. There is nothing more helpful than being able to obtain access to a complete guide for searching for the right harness that you can safely use for your doggie. Take note that the safest harness is always the best choice for your travel pet companion. Big dogs or small ones can enjoy traveling with you time after time and at the same time they can also show you that they’re really enjoying the whole ride as they wag their tails happily spending the whole travel time with you. Your doggies are really interested to discover what type of experience they’ll have with you when it comes to accompanying you form destination to another. To be able to make the most out of your trip, you as a pet owner should ensure that everything is in place including that special safety seat for your pet companion. Now, the reality is that when you ride with your doggies and you don’t have them restrained properly in their seats, you are not only keeping them from being safe but you are also compromising your own safety. Aside from the noisy passengers and a crying toddler, your pet companion can also be a cause of distraction. To prevent this from being a cause of any possible accidents while you’re on the road, it’s best that you keep your pet restrained with the appropriate harness to be installed in your car. The good news is that it’s not that hard to find harnesses online or offline nowadays as there are a lot of companies selling them. However, your challenge is searching for the best ones that can assure you that your pet is protected from injuries that may be incurred due to any unfortunate events that may happen while you’re on the road. You should also be aware that in most states that you travel to, they have laws regarding distracted driving and you should be aware about such restrictions and regulations. It doesn’t matter where you get your dog harness from. What’s important is that you have to obtain the one that’s right for your dog. There are manufacturers that claim they’re product is completely safe but the truth is that they’re not that engineered and designed for the safety of your dog and you have to have a keen eye on these things. You have to consider the size of your dog, the materials that the harness is made of and the safety features of the harness as well. 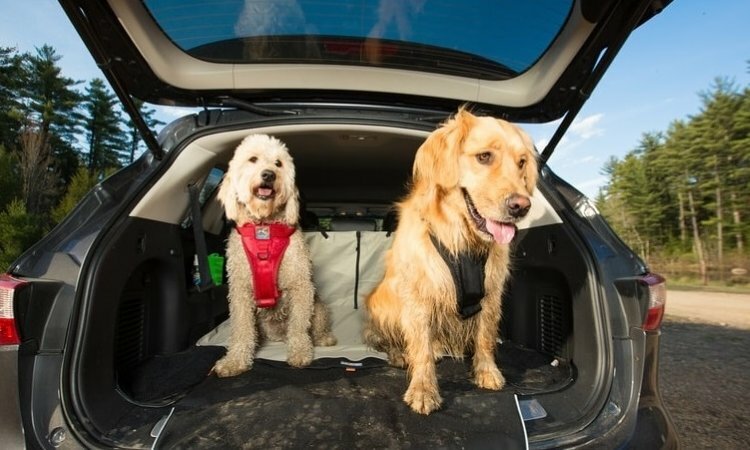 Isn’t it an absolute convenience for you and your pet dog if you can assure that both of you are safely traveling in your car anytime you want? The good news is that, more and more people are interested in finding ways on how to protect their pet and every single passenger in their car whenever they travel. So, if you own a vehicle yourself and you have a pet that you want to bring with you wherever you go, you should as well start looking into the various possibilities of keeping your pet safe while you’re driving. The studies are mostly being conducted by engineers as well as various employees who brainstormed their own ideas on how installing a car seat for your dog can definitely protect them while inside a vehicle as well as the people who are inside the vehicle including the driver. Unfortunately there is not that much data on statistics so those who study them make use of their own dogs for the study. Even high officials of various companies find themselves agreeing to the point where dogs should as well be protected while in a vehicle knowing that millions of people treat them as a traveling companion. An Organization such as Johnson Controls have determined from their testing, research and studies that there is a very big possibility that not only dogs but pet cats can definitely be saved from death or any particular injury as a result of a vehicular crash if they are making use of safety devices and equipment when traveling. Chances are you are now convinced that it really is important that you also have to consider the safety of your pets when you op to travel with them right? The next thing that you’ll probably look into is obtaining the right safety equipment for your pets. Since these safety devices are not created equally, you’ll have to ensure that you’re getting them from a reliable maker of such kind of equipment. You probably have heard of various stories regarding the failure of such devices and equipment to protect pets which may lead to your pet’s death or injury which of course you don’t want to experience. Definitely on your search you’ll find a variety of options in the market today and this is the reason why you’ll have to choose wisely. Try to look for ones that are not only accessories for your pet but are equipped with safety devices and dog restraints. By doing this you can ensure that your pet is not only comfortable but is safely restrained while waiting to reach your destination!